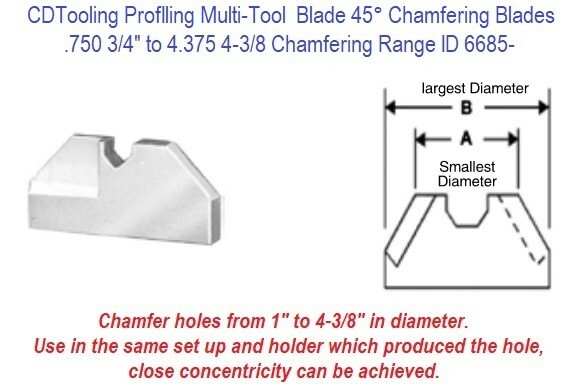 A simple and easy to use system for producing accurate holes at an economical cost! 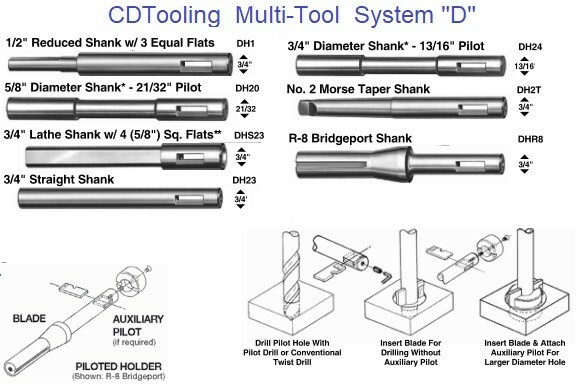 Step 1) Drill first pilot hole with a conventional 3/4" twist drill or the 3/4" Multi-Tool threaded pilot drill. 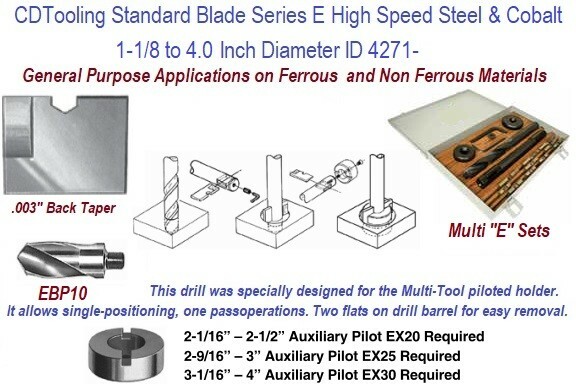 Insert finish size blade into piloted holder and drill hole to size. 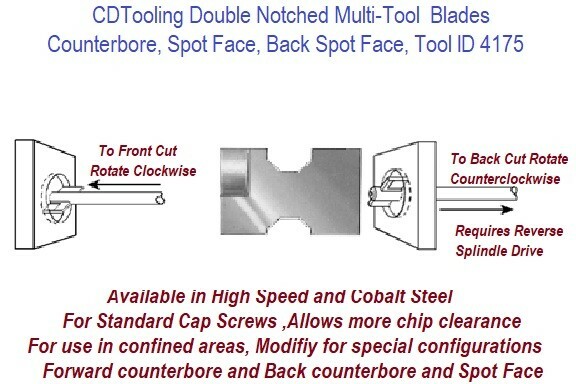 For Finish Hole Over 1-1/2" to 2"
Insert 1-1/2" blade in piloted holder and enlarge hole to 1-1/2". 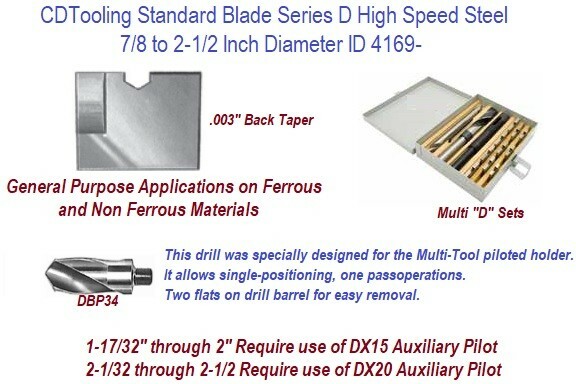 Next insert finish size blade into holder, attach 1-1/2" auxiliary pilot and drill hole to size. For Finish Hole Over 2"
and enlarge hole to 2”. Finally, insert finish size blade into holder, attach 2” auxiliary pilot and drill hole to size. 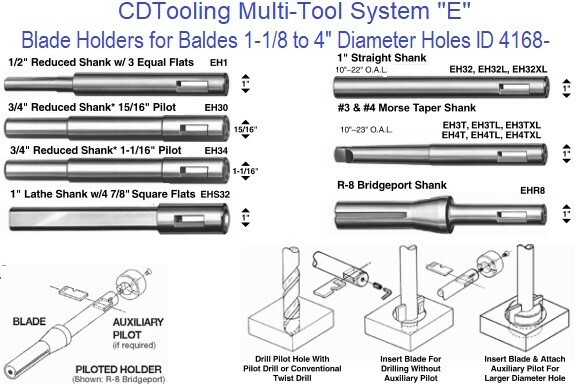 Note: When drilling certain non-ferrous metals, it may be possible to drill up to a 2-1/2” hole in one pass without the use of one or both auxiliary pilots. Cutting fluids are always required when machining metals (except for cast iron) for safe operation and longer tool life. Select the appropriate fluid for the material to be machined.